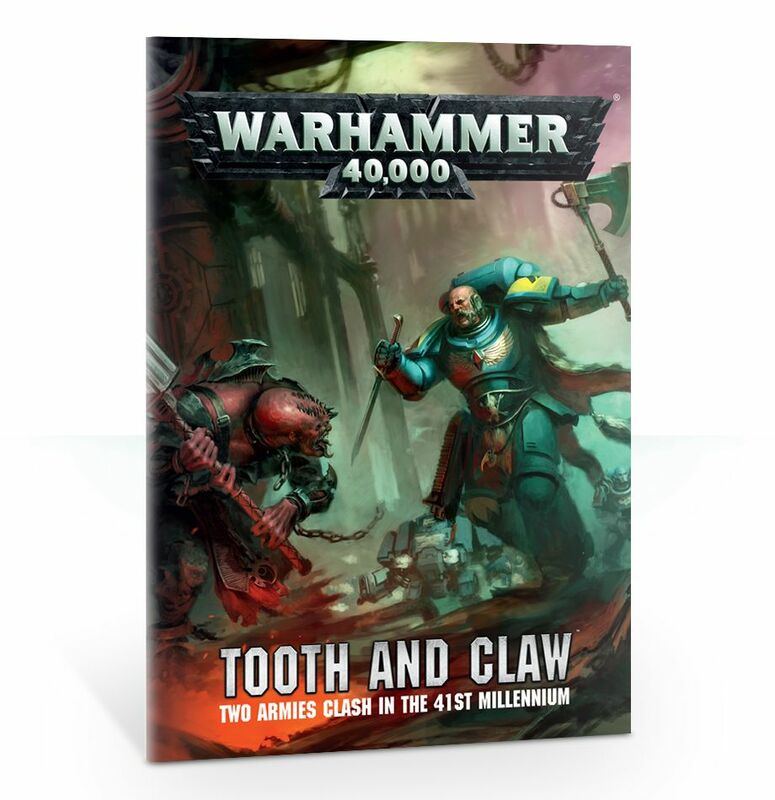 This week’s pre-release from Games Workshop is called the Tooth and Claw. 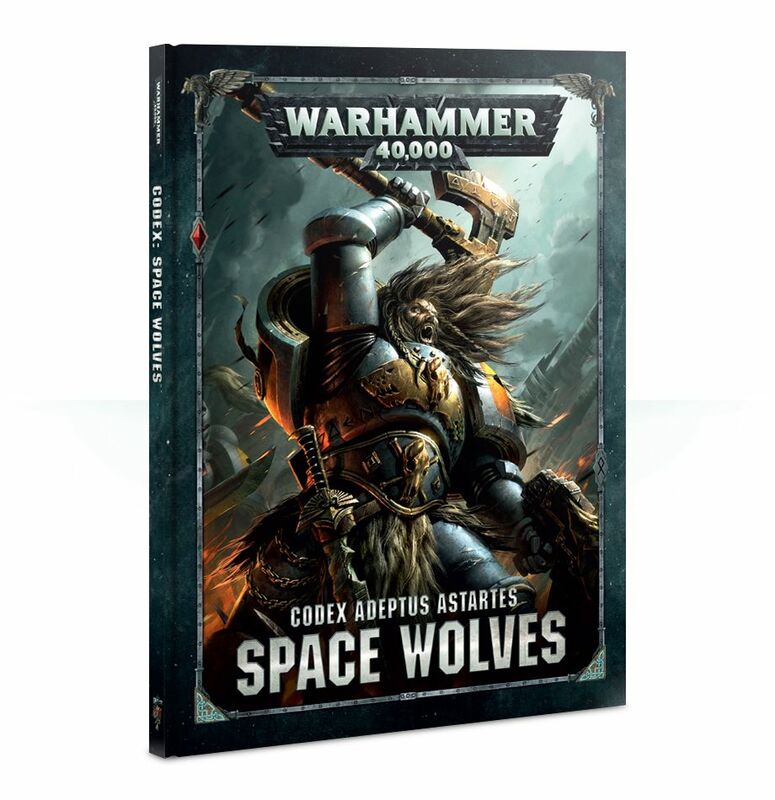 It brings us an 8th edition codex that’s long overdue: the Space Wolves. 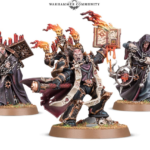 However, the Space Wolves are not the only ones getting an upgrade this week, we also get some goodies for their unexpected rival – the Genestealer cult. Here’s everything that you need to know about the Tooth and Claw. We break it down for you! A 144-page hardback that features the story of the Space Wolves, the harsh death world home of Fenris, the Rites of Initiation, and background on the 13 Great Companies, beautifully painted miniatures, painting advice, and all the rules for the Space Wolves army. Tooth and Claw is a great-value boxed set containing 2 armies split across the forces of the Space Wolves and the Genestealer Cults. 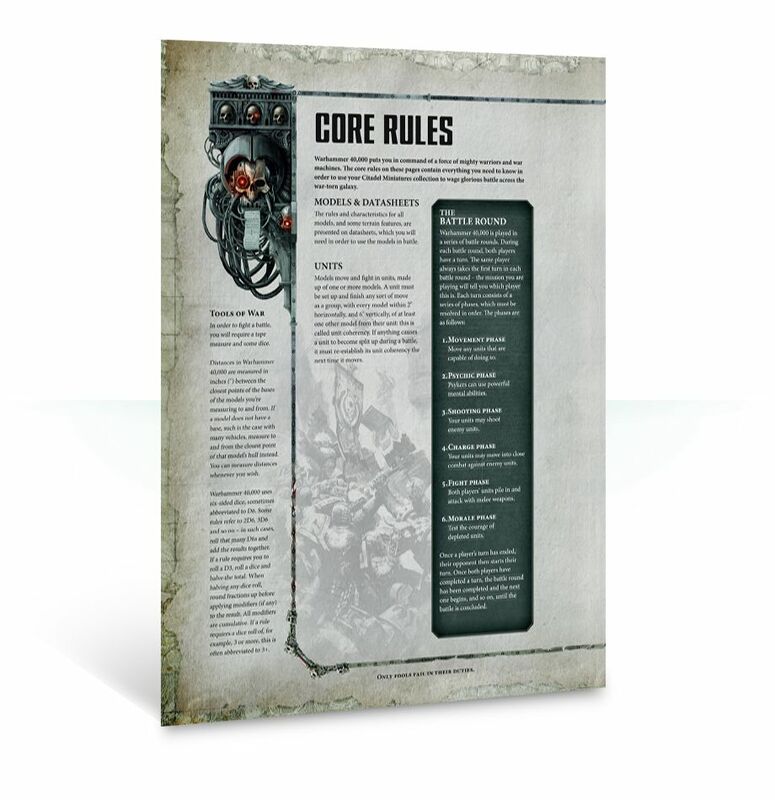 War Zone Vigilus: a brief history of this embattled world – a vital supplier of materiel for the Imperium – and the emergence of its massive Genestealer Cult uprising. Space Wolves: an overview of this Chapter, and their mission to hunt down the biggest threats in the galaxy which has led them to Vigilus. Genestealer Cults: a primer on these twisted groups of militant fanatics, who spill from the shadow to choke entire worlds. 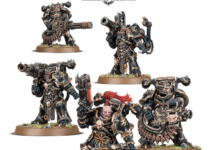 A Howl in the Night: the story of Haldor Icepelt’s interception of the distress calls from Vigilus, and his Space Wolves strike force’s arrival. A miniatures showcase featuring beautifully painted examples of the miniatures in Tooth and Claw. 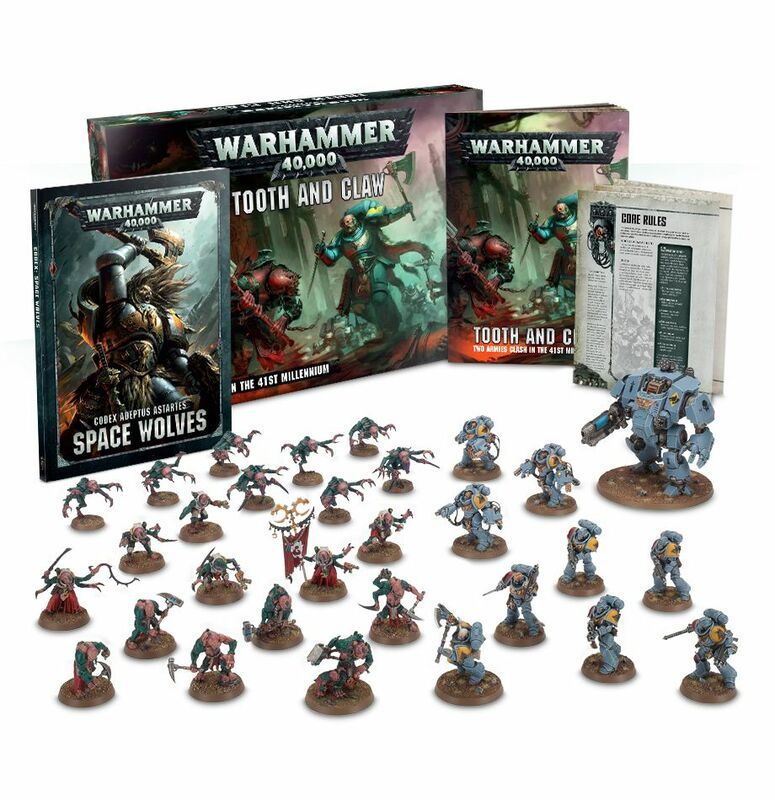 Tooth & Claw box set features 31 miniatures split over Space Wolves and Genestealer Cults forces, with a Primaris Battle Leader, exclusive to this set! 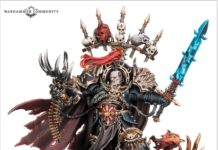 1 Space Wolves Primaris Battle Leader, representing Haldor Icepelt, who is armed with a bolt carbine and power axe. 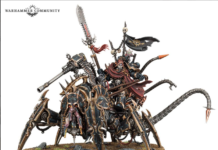 Posed storming forth with weapons primed, he can be modelled with or without helmet. 5 Primaris Intercessors, armed with a choice of 3 bolt rifle variants, with options for a Sergeant. 3 Primaris Aggressors, armed with a choice of auto boltstorm gauntlets or flamestorm gauntlets, with options for a Sergeant. A Space Wolves Primaris Upgrade frame, featuring 5 Intercessor shoulder pads, 1 Intercessor Sergeant shoulder pad, 3 Aggressor shoulder pads, 3 heads, unmistakably Space Wolf in origin – 1 helmeted, 1 with mohawk and beard, 1 with fully spiked hair, 1 right arm holding a chainsword, 1 left arm drawing a knife from its sheath and 7 accessories: 2 wolf tails, 2 pouches, 1 necklace, 2 diamond shaped amulets. 5 Aberrants, which can be armed with rending claws and either power picks or power hammers, depending on the arms you choose to model them with – this includes 17 (!) different heads and options for a Hypermorph. An Acolyte Iconward, armed with an autopistol and blasting charges, clutching his cult’s sacred banner. 5 Hybrid Metamorphs, armed with autopistols, Metamorph talons, blasting charges and rending claws. Included are hand flamers, a heavy rock saw, a heavy rock drill (with backpack), a heavy claw cutter and options for an Metamorph Leader, who can take a bonesaw. 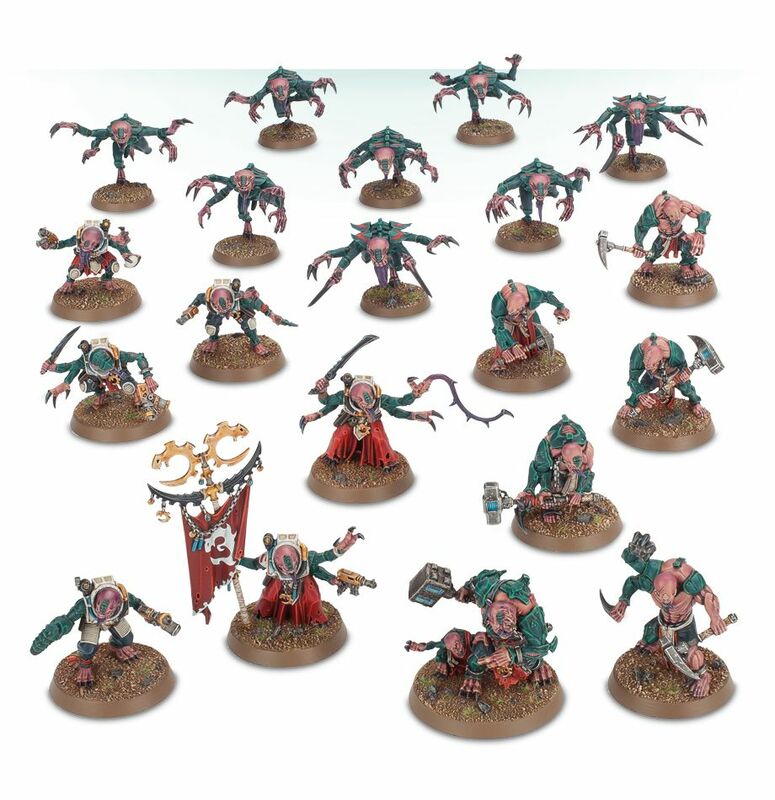 8 Genestealers, multi-limbed monstrosities are armed with rending claws and scything talons, and the kit includes a number of toxin sacs along with an infestation nod. The Tooth and Claw don’t just bring us new minis for the Space Wolves, but also their main rival for this new boxed set – the Genestealer Cult. It turns out we are looking at a Space Wolves vs The Genestealer Cult box! What do you think? 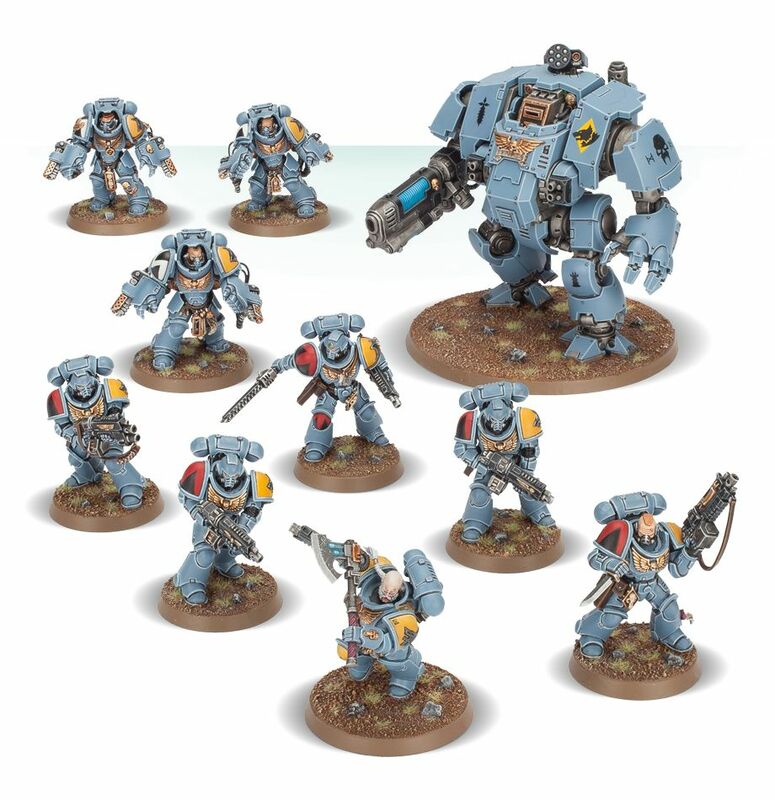 Did you expect the Genestealer cult to steal the spotlight from the Space Wolves in this bundle? Voice out in the comments section!